DIY has become the new drug of choice for homeowners everywhere. Now, instead of shopping for decorative items to fill the house with, people are building their own. There are vast communities of people both on and offline who are addicted to this new wave of ideas. The most complicated part about doing your own projects for the house is that usually power tools are needed. But not always! 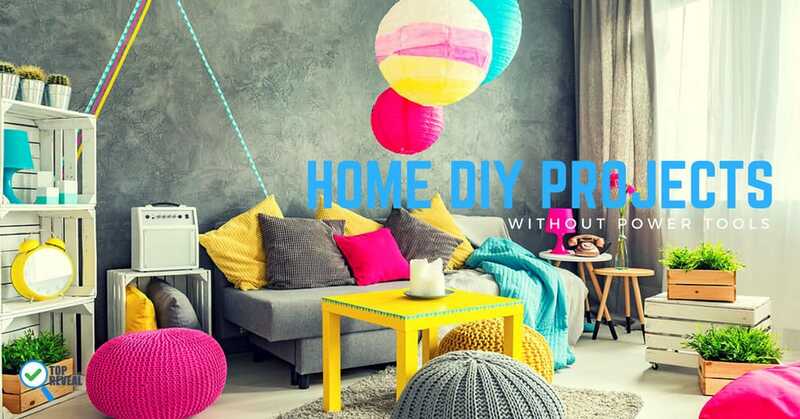 Here before you is a creative list of home DIY projects without tools. 1.3 3. Wire Mail Caddies: Hello Mr. Postman! 1.9 9. River Pebble Bath Mat: Step With Confidence! Instead of throwing out those boxes you get from online orders, now you can make them into cute and easy storage containers. 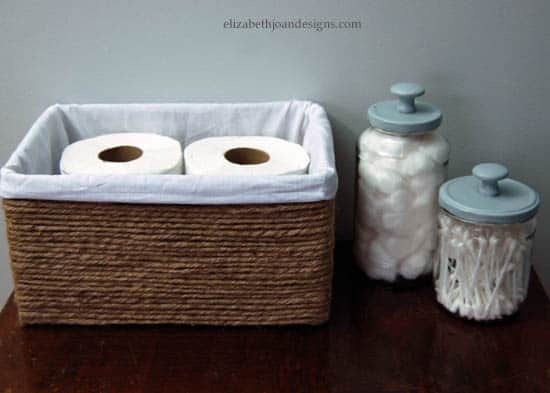 With the help of some twine and glue, you can dress up those drab boxes into something tasteful and useful. This simple idea will make your wall decor really pop. Get started on those popsicles because you’re about to need a lot of sticks. Plan your outline and get gluing. Don’t be afraid to get creative with the shapes. The possibilities on this one are endless! 3. Wire Mail Caddies: Hello Mr. Postman! This ingenious idea is perfect for a busy family. I know at my house, we make piles of which mail belongs to who, but it usually gets messy. 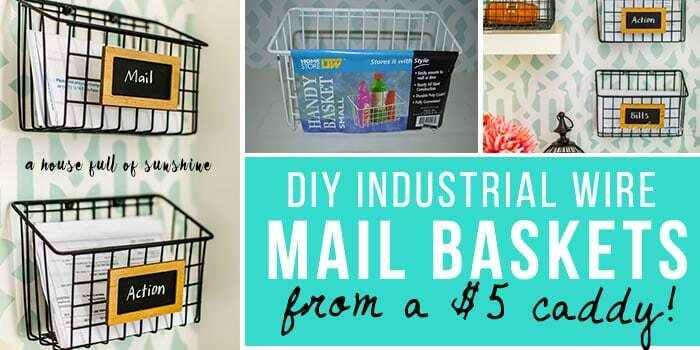 Now you have a way to keep your mail out of the way and completely organized. It requires some minor purchases, but it’s totally worth it, and even looks charming. These lovely little light ideas are the perfect ornamentation to any outdoor living space you have. What makes this project so great is that it’s low budget since most of your ingredients can be found around the house. 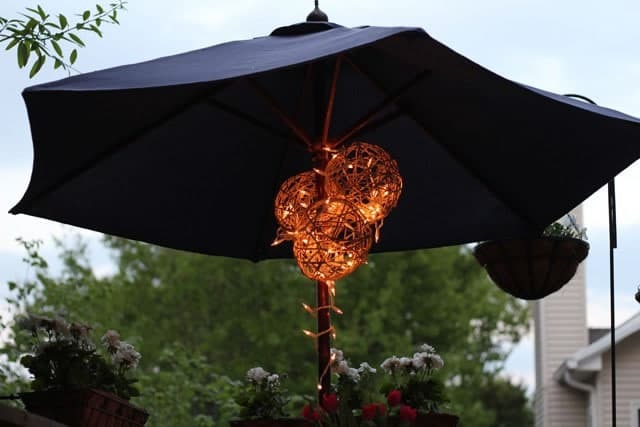 These lights will make any yard, porch or deck look downright magical, and create a great atmosphere for entertaining, or enjoying time to yourself. Not sure what to do with the empty wall over there? Fear not for I have the solution; easily turn it into a gallery wall. The best part about this idea is all the antique shopping you’ll get to do. If you undertake this project, garage sales will become your new best friend. Don’t be afraid to get innovative and start mixing and matching your one of a kind finds. What makes this one fun is that you get to arrange and rearrange the pieces like a puzzle until they line up just how you like them. 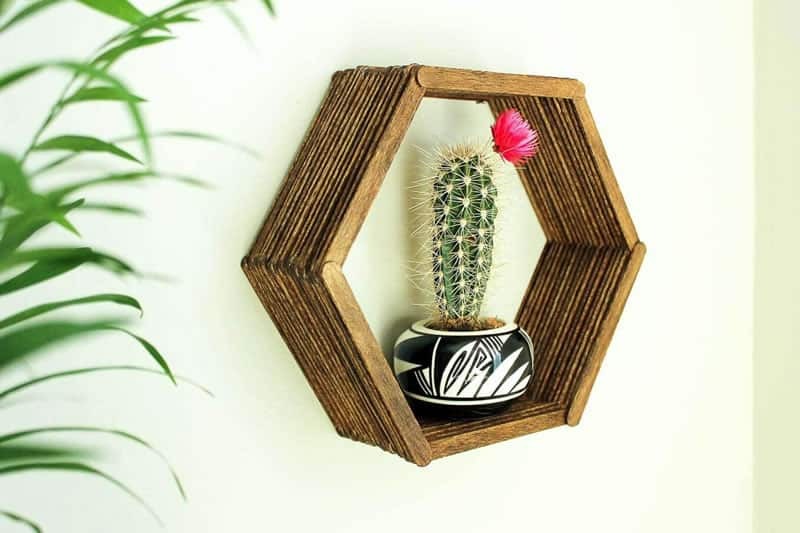 They don’t have to be wall decorations either, add some different elements with an antique couch or bench you managed to run across on your shopping spree. These can work both indoors and outdoors and can match almost any style of decor. The most important object you’ll need is an old tire. If you don’t have one lying around, which I think it’s safe to say most people don’t, you can quickly head on over to your closest junkyard and pick some up there for a relatively low price. That way, you can also choose the size you’d prefer. Wrap some rope around them, and suddenly they’ve become one of the most convenient pieces of furniture you own. 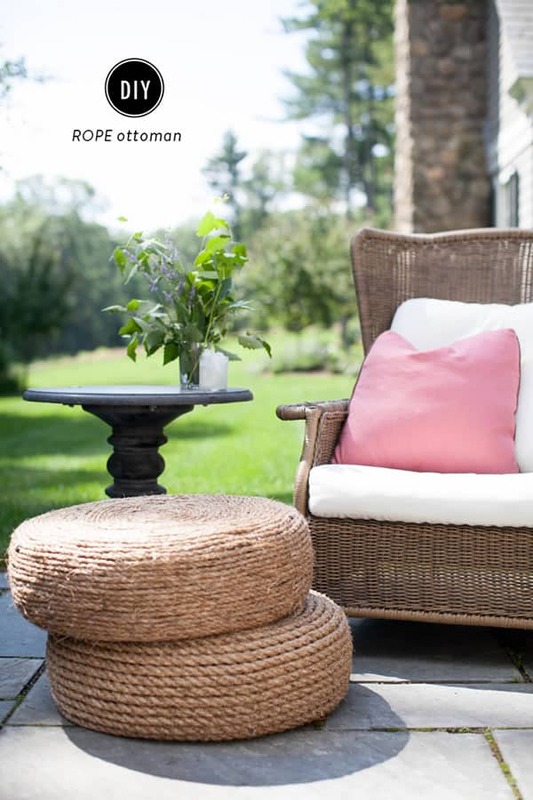 Super easy to make and they can readily be used as a footrest or an extra seat. This project needs the easiest ingredient ever; sticks. Collect a couple of handfuls, and you’re already halfway there. Use your imagination and make whatever kinds of shapes you’d like for your ornaments. 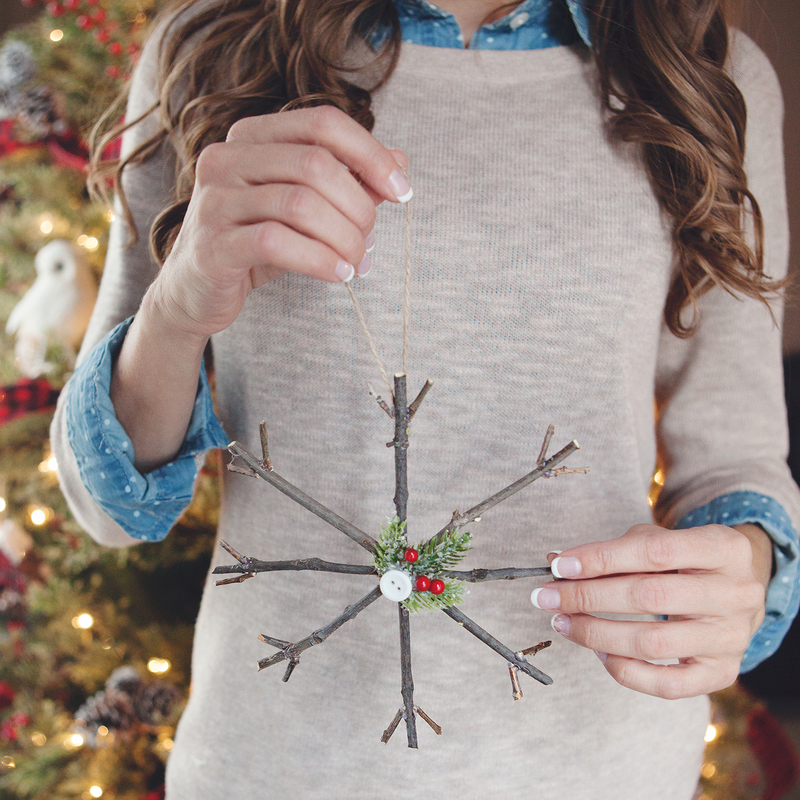 Take a break from the mad rush of the holidays and relax by gluing some sticks together in the most fashionable way DIY. For people who consider themselves non-artistic, this is the project for you. Yes you read that correctly, I said the word canvas, but not to worry; this involves no painting whatsoever. All you will need are some canvases of your preferred sizes, and some shiny and glittery cardstock (or feel free to choose any other colors should you desire). As you can see in the photo, arrange the circles of color however you prefer, whether you like them bubbling up as shown, or trickling down. It’s a simple project that will add color and life to any room in the house. 9. River Pebble Bath Mat: Step With Confidence! For those nature lovers who want to bring a bit of the outside inside, this is the perfect venture for you. 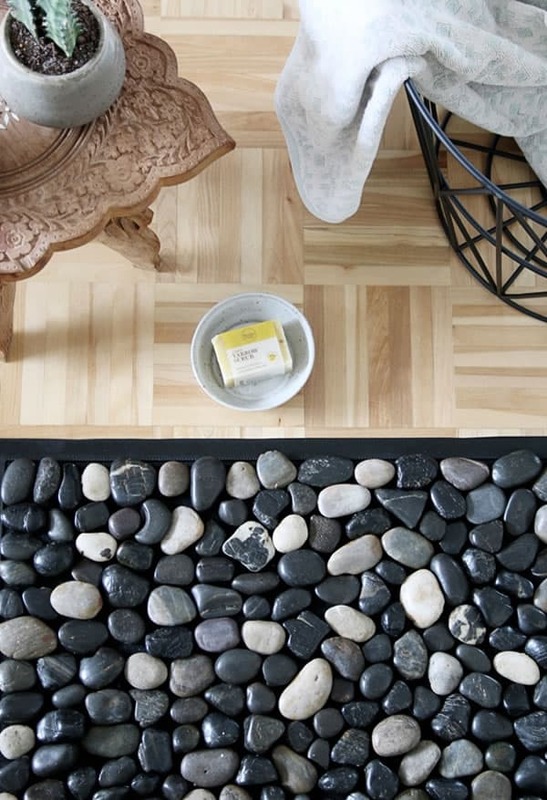 Design your own bath mat using beautiful smooth pebbles. They can be bought at a store, or found on an adventure along a river. Choose whatever color scheme you desire to match your entire home or just the bathroom. It’s so easy to make and will give your feet a mini-massage every time you walk on them. Not to mention you will feel like a river goddess whenever you step out of the shower. Mini ecosystems are all the rage these days, and now you can be a part of the air plant movement! What makes this so easy is that you just put them in a lightbulb! Not only are they adorable, but also very low maintenance. 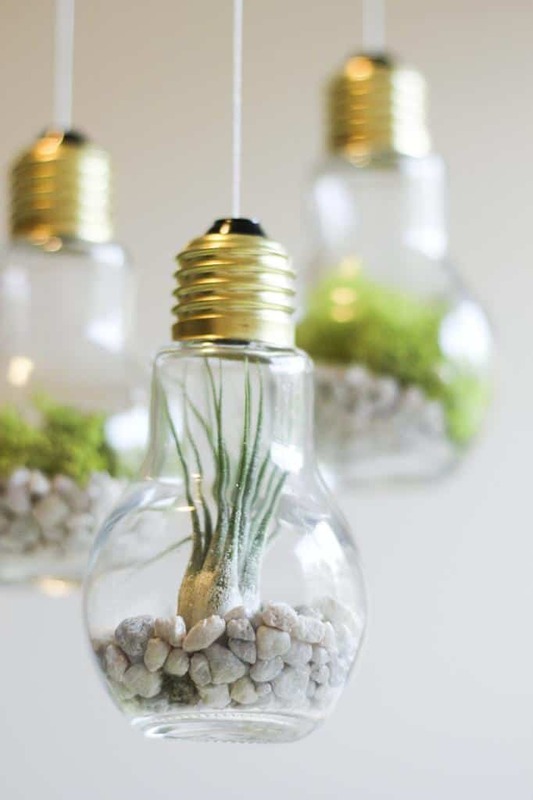 These little terrariums will add creative character to any space, and will be an eye-catcher. For those super artistic DIYers out there, this is the perfect undertaking. If you like lots of color and character in your home, look no farther than this jewel of an idea. Get your paintbrushes ready, and turn those plain cookie cutter stairs into something downright magical. 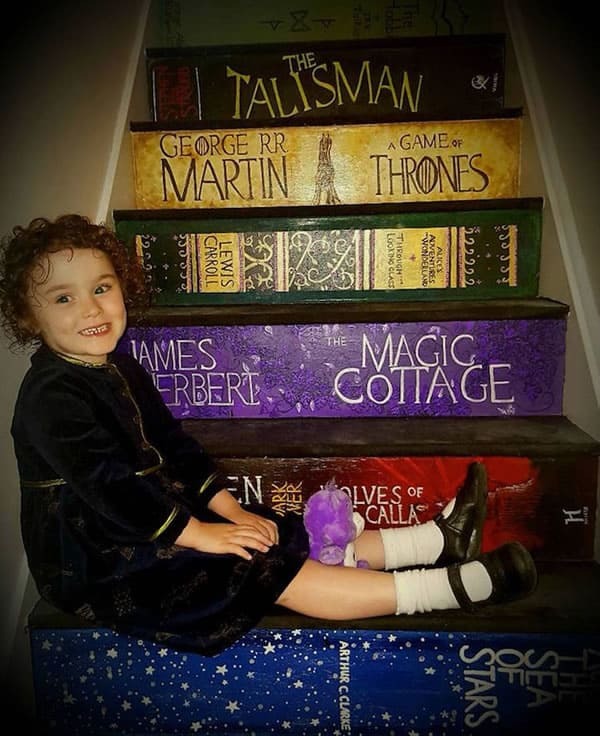 For each stair, paint the spines of your favorite books. Your guests will be enchanted by the amazing design piece. Such a simple concept, yet not something you would normally think to do. Decorative mirrors are very popular but can be very expensive. Well, now you can design your own for much less. Don’t waste money on something that you can do yourself! Not only is the budget agreeable, but the time requirement is minimal as well. All you have to do is find a pattern that you love, and draw it on! It’s a great way to bring some personal character to otherwise plain mirrors. This is an excellent way to turn a boring table into a more chic centerpiece with a miter-saw. Marble can be expensive, but paper printed with a marble design is not. All you need is a table or desk that has a glass inlay, and you’re on your way to seeming like you just got a raise. With this project, you can achieve that modern look you’ve been striving for without breaking the bank. The best way to spruce up a couch or love seat is with fascinating and enigmatic pillows. Now you can save yourself the trip to IKEA, and head on over to a second-hand store instead. Find some pillows that are the right size and level of fluffiness, then hunt down some fabric that fits your taste and style to a T.
By following these simple instructions, your couch will soon have some serious personality. Women know the struggle of keeping jewelry organized all too well. The chains and hooks are always getting caught and twisted, and when you try to unravel it, you run the risk of breaking a pair of your favorite earrings. It’s time to put those fears to rest with this awesome DIY strategy. 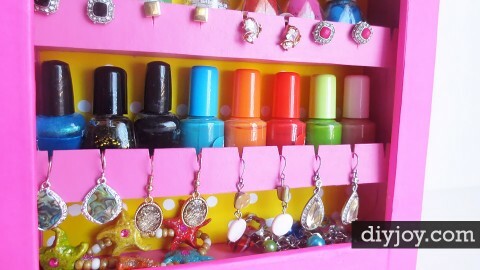 Use colorful craft paper to design a jewelry organizer that suits you and your style. See more handy tools like Scroll-Saws and Band Saws that can save you time and make your projects more fun. Nothing sets the mood quite like a bonfire in the backyard. If you have always wanted one, now you can build your own with diy tools! The only things you need to know is how to dig a hole, fill it back it, and stack some stones. Sounds easy right? That’s because it is! This is the perfect way to add that great summer night ambiance to any yard. Decorating for the holidays is a nationwide tradition, but it doesn’t’ always have to be expensive or extravagant. One of the most popular items in your home that lets everyone know you’re celebrating the season is the wreath. 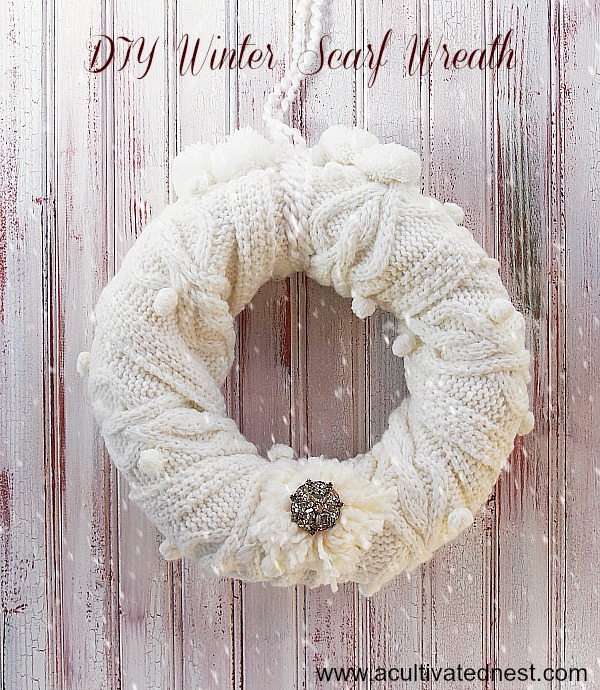 This year, it can be easier than ever to have an original wreath that will be the envy of your neighborhood. This can effortlessly be accomplished by using an old scarf you have lying around, or one you find at a second-hand store. You can personalize it any way you want, and it will be an instant conversation starter as soon as your guests walk through the door and past your work of art.